Simply put, we make your business shine. With custom graphic design and a dedication to old fashioned customer service you crave. Our “One-Stop Shop” can coordinate all your marketing efforts. Your company vehicle is your largest business card, we can help you make it shine with custom full color digital vinyl car wraps. With solutions for every budget and professional graphic design you can’t go wrong. You only get one chance to make a first impression with your store front. 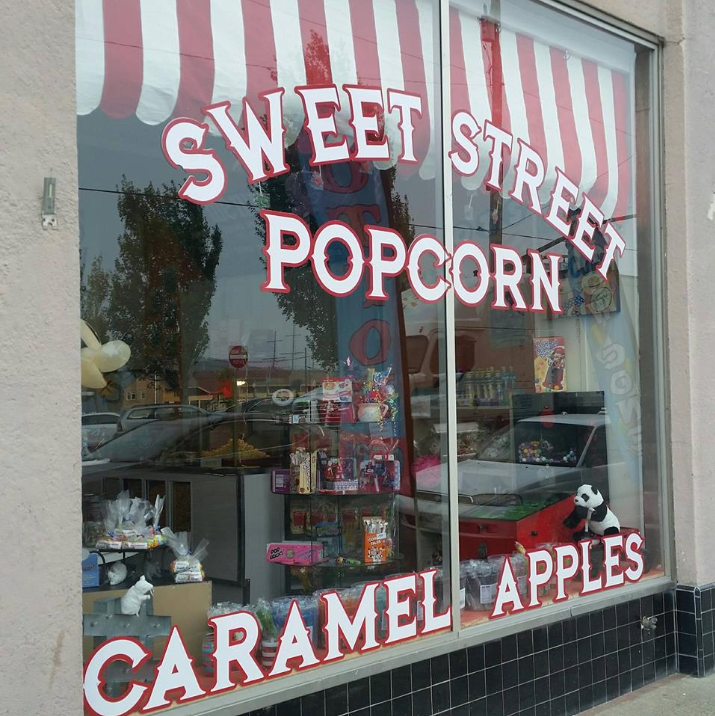 Let us help you with custom window letter lettering and wraps to make your business shine. 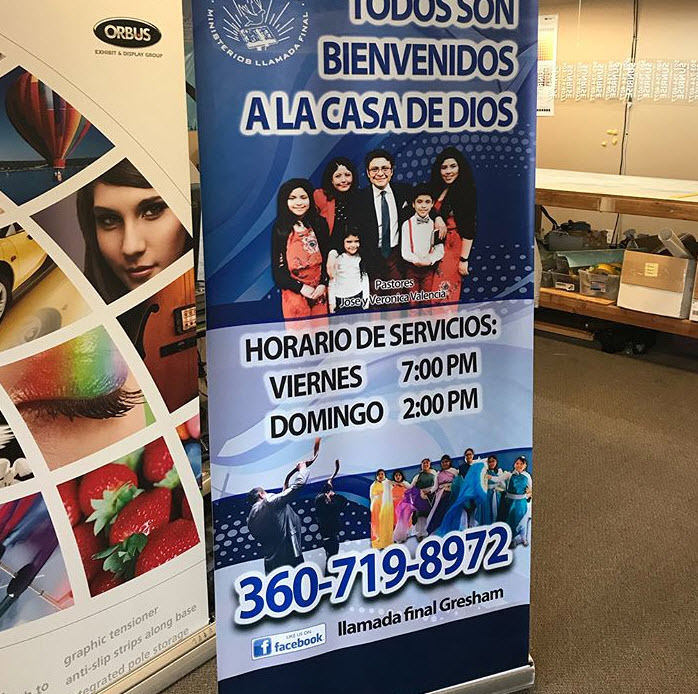 Get your message heard with a powerful full color digitally printed and professionally designed custom banners in a variety of sizes and thicknesses. Your company vehicle is your largest business card, we can help you make it shines with custom full color magnetic signs. With solutions for every budget and professional graphic design you can’t go wrong. 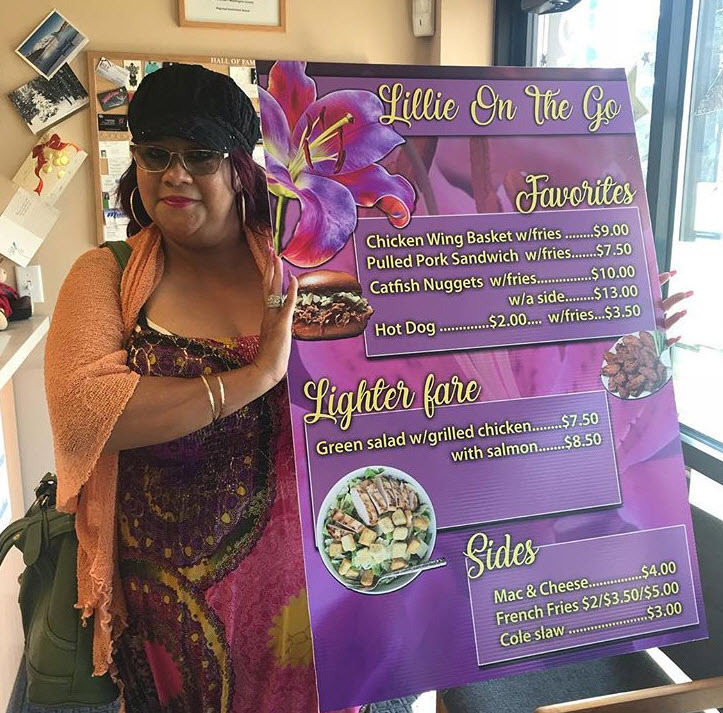 To Go Menus are great for restaurants and food carts alike. Let us create your menu today! 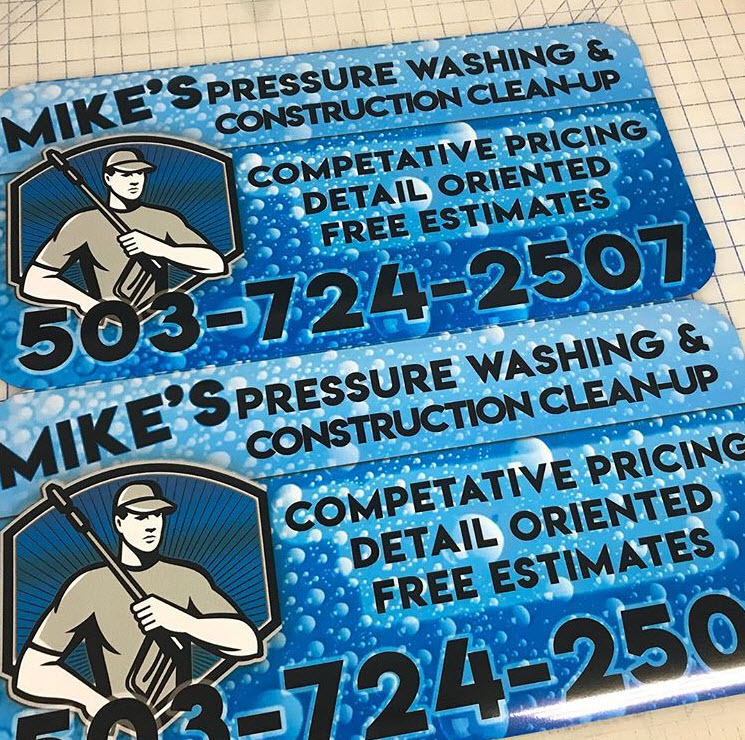 Get your brand out there with our custom business cards. Brochures will give your target audience more info about your services, and can create interest. 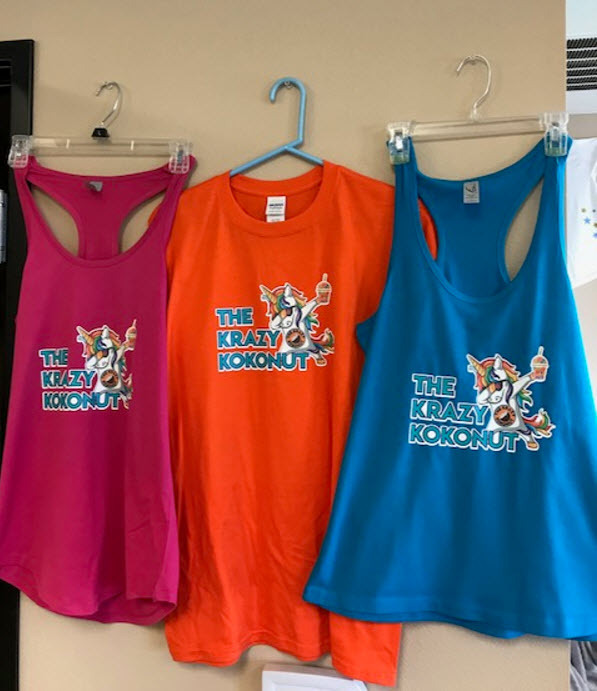 Get the perfect custom apparel for your company event, family reunion or sporting events. 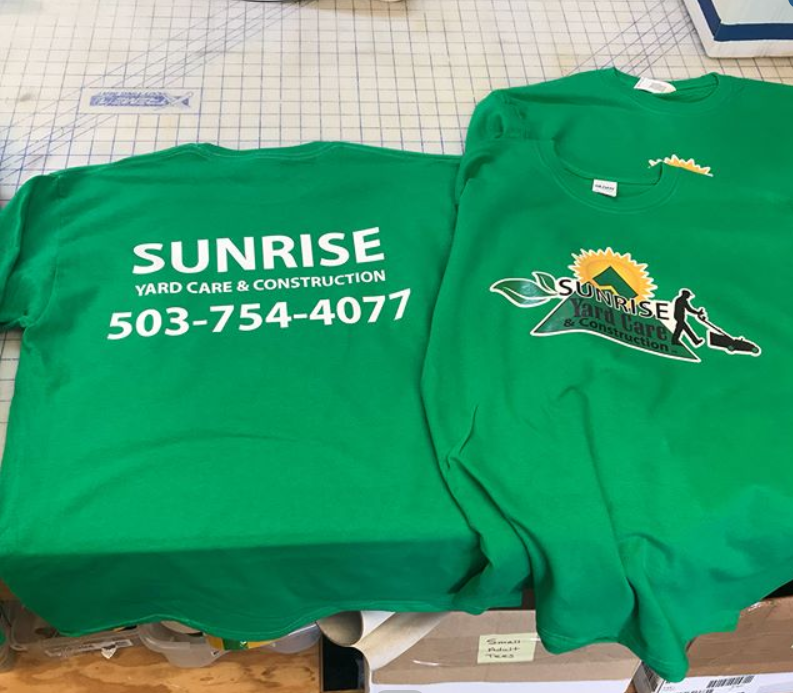 Custom graphic design is always part of the service you’ll come to expect from the Sign Shop. We will help to make your event shine. 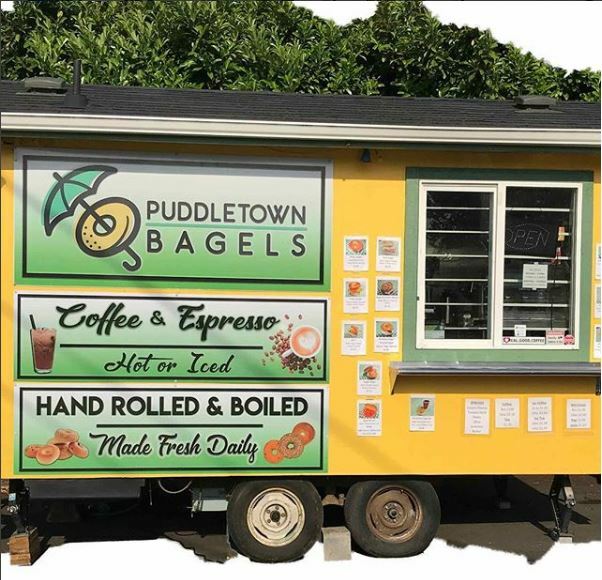 Full color digitally printed menu signs that will make your food truck stand out and stand up to the Oregon weather. 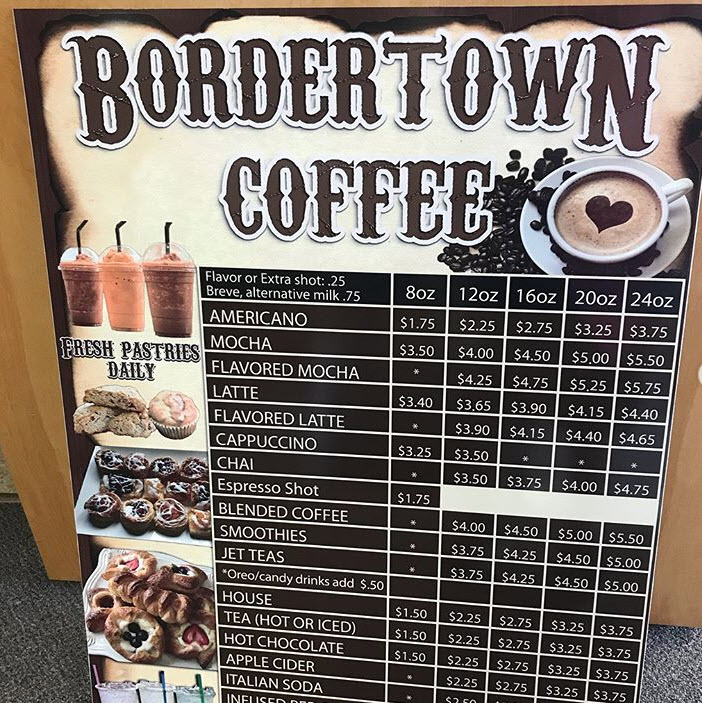 Custom A Frame Signs are a great way to bring attention to your storefront and affordable enough to update with your newest marketing efforts. Several sizes and styles available. We believe in doing the project right, on time, and on budget. We believe in using the right materials for the job so we produce a quality product. We do not cut corners, but we will help you get the most bang for your buck. We believe Customer Service is our top priority and we strive to create long-term partnerships with our customers. You are not just a number to us. I began working in the sign industry in Southern California in the mid-80’s. My family owned and operated a Sign Shop, using vinyl plotters when the industry was in its infancy. 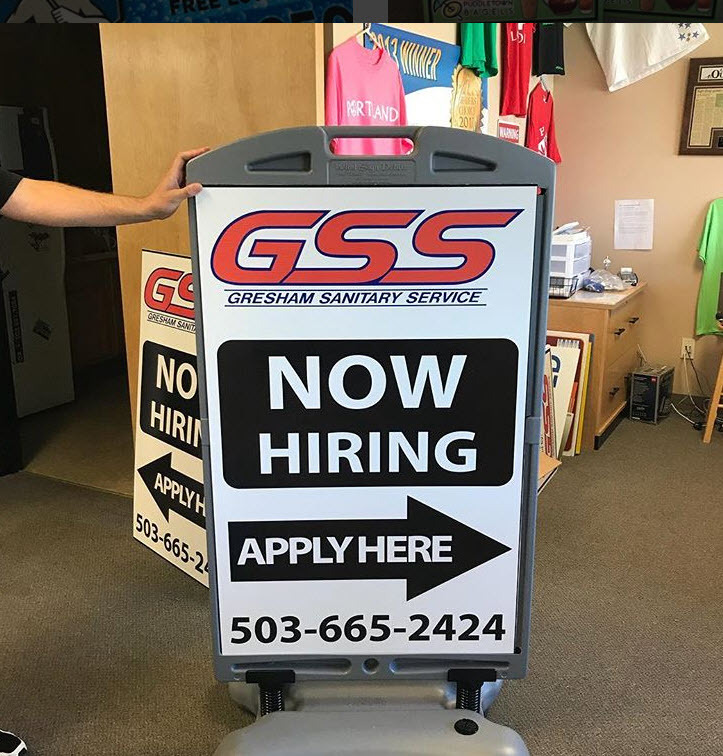 I moved to Oregon in 1994 and in 2004, The Sign Shop was created and operated from home while raising two young children. In 2008, The Sign Shop moved into its current location at 2042 NW Birdsdale Avenue in Gresham. We would love to help promote your business, club, or event.